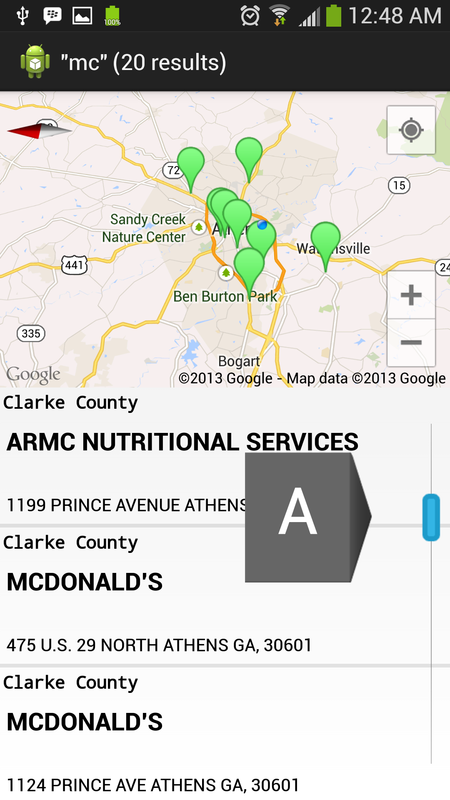 A. Browse restaurant inspection results by county. 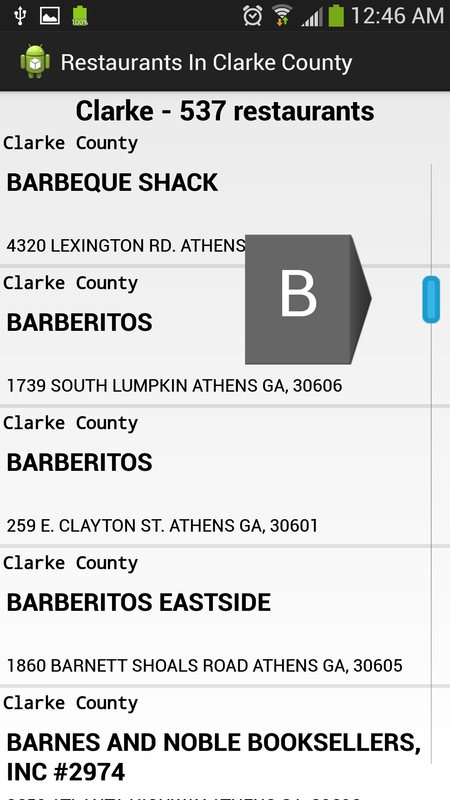 After hitting the button, the user will be presented with simple listing of all the restaurants in that county. I added SectionIndexer to this listing to help the user navigate faster. This blog post was very helpful in understanding this feature and getting it to work. B. 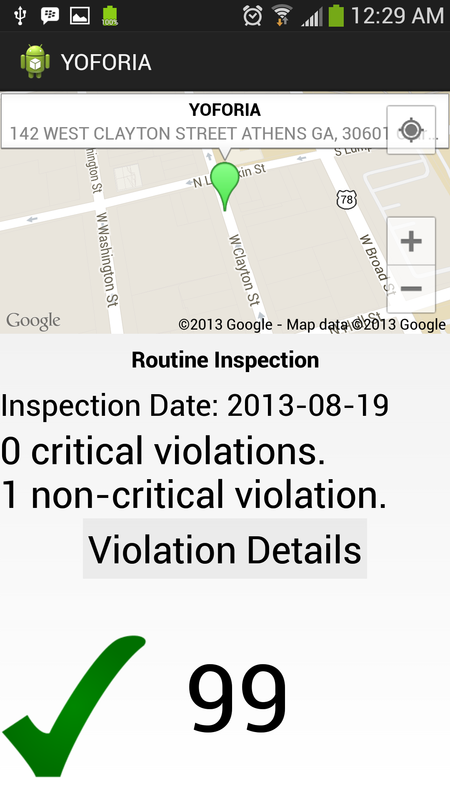 Find a specific restaurant’s scores by searching. 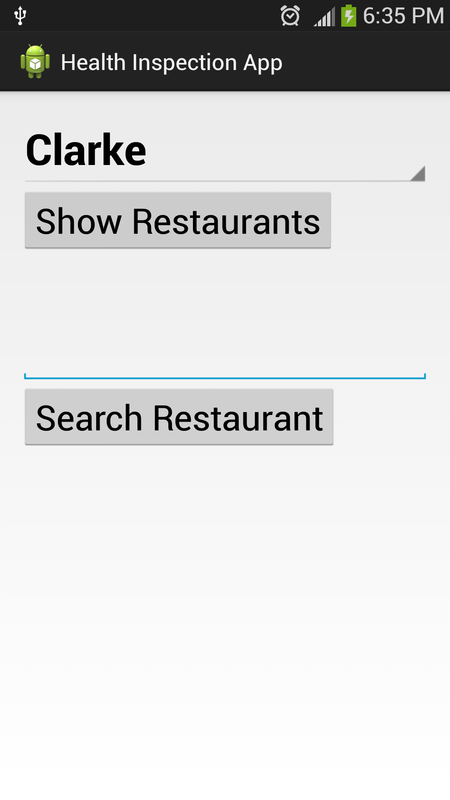 After hitting the button, the user will be presented with a map with the locations represented by markers and a ListView of the found restaurants. It also implements the SectionIndexer. 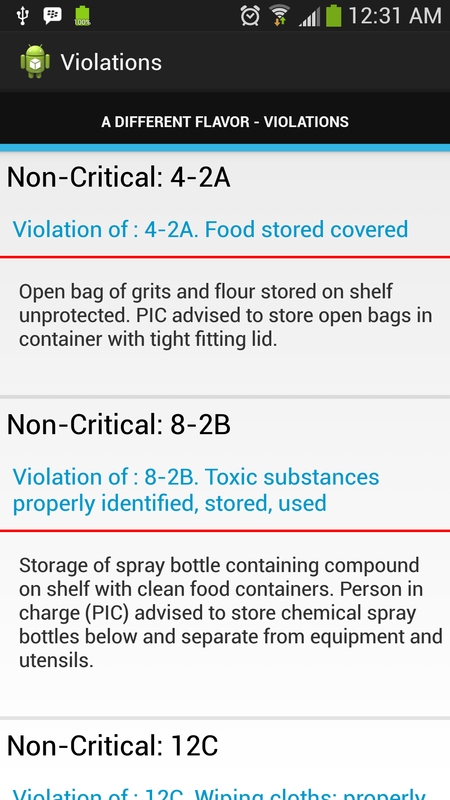 Because of the way I scraped/collected the data, my application (should) only display the recent health inspection data, etc. It doesn’t retain any historical information but that is out of my hands due to the limited information available on the website. A case could be made for instances where the site shows 2 different scores but scraping depends on regularity and I found several instances where the site didn’t stick to expected format. I digress; I’ll deal with that issue later. 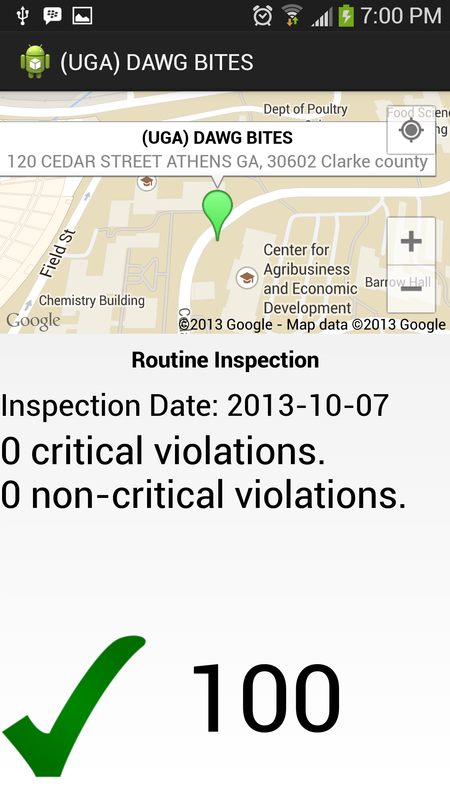 if you have a score of 90 or higher without any critical violations, you are in the green. 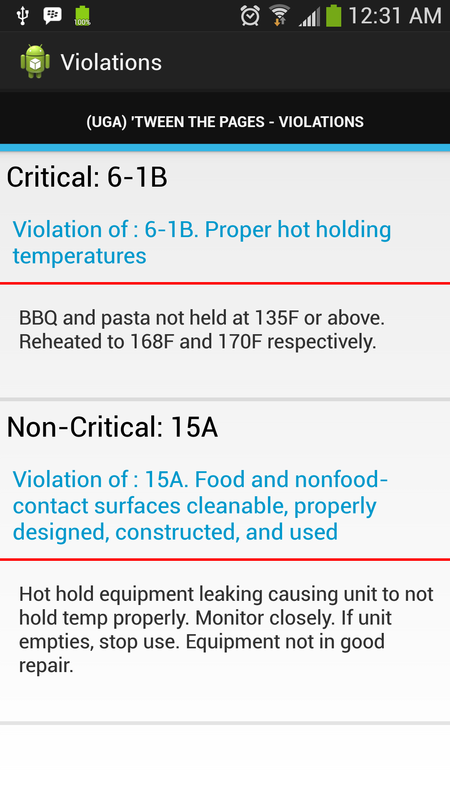 You could have a few non-critical violations here. 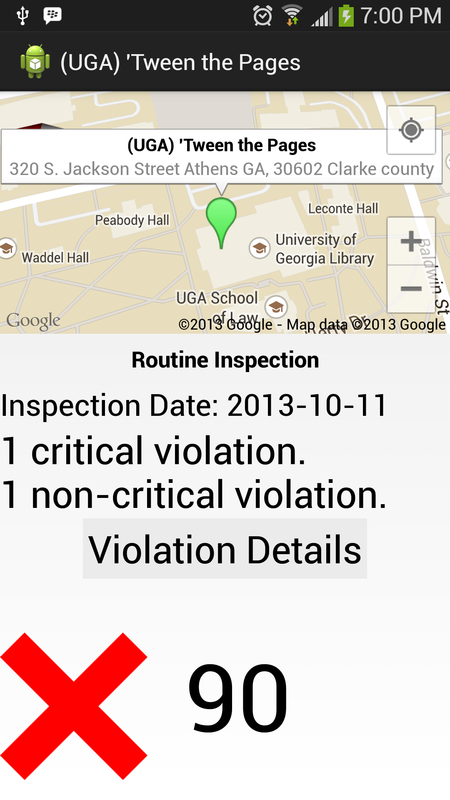 Any critical violations lands you in the red zone even with a score above 90. 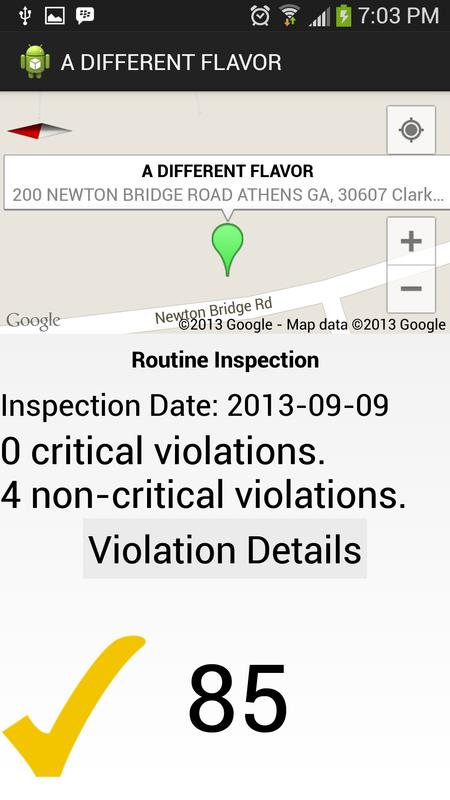 If you are above 80 and only have non-critical violations, you get a yellow check mark. 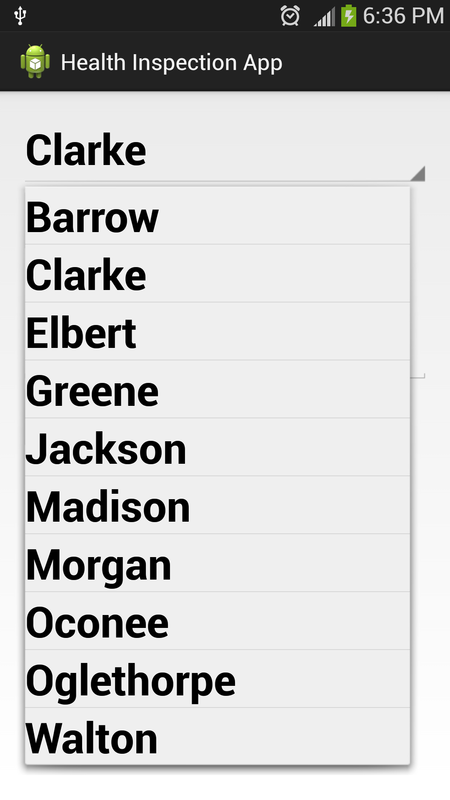 So there you have it: my first native Android app in the works. I’m feeling pretty good about my app’s progress and I’m currently seeking a few beta testers. 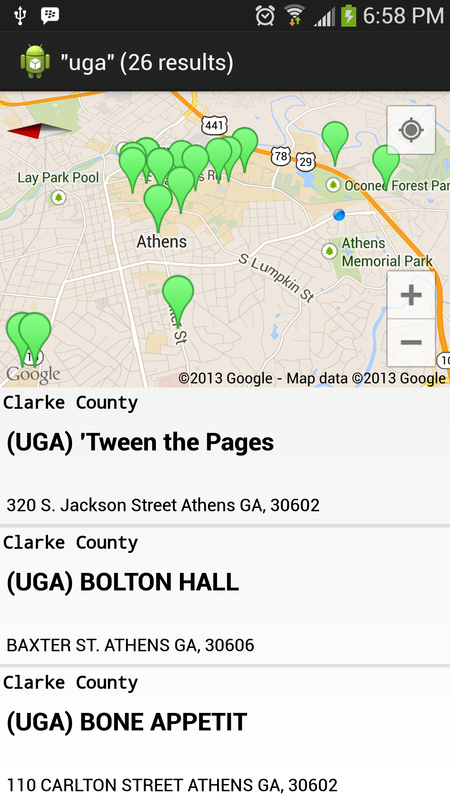 If you live in the Athens, GA area and have an Android phone with version 2.3 or higher, feel free to send me a note about wanting to be a beta tester. My gmail handle is janeullah so shoot me an email if interested. The impetus for getting this app off the ground was the fact that I’m working on another Android app with 3 of my classmates for a class (Human Computer Interaction (HCI) with Dr. Chris Plaue). Stackoverflow is every CS student’s not-so-secret weapon. I’m not ashamed to say this was my first port of call whenever I had problems. Thanks to Stackoverflow, I resolved every issue I had. From how to create the proper calls to the SQLite database, getting the SQLiteDatabase to be copied to the right location using the right conventions, properly setting up my Async Task, to creating custom ListView adapters, et cetera. So, even if the first question doesn’t have an answer, try a different search term and really try to understand the answers that were provided. From now on, I’ll do my part by documenting solutions to issues I’ve faced either here or on Stackoverflow. On Android, the data’s stored in a SQLiteDatabase which I created by using the mysql2sqlite.sh script to convert my MySQL database to SQLite. For version 2, I’ll probably make the home screen a little nicer (less bare) and include a “restaurants around me” type of activity. 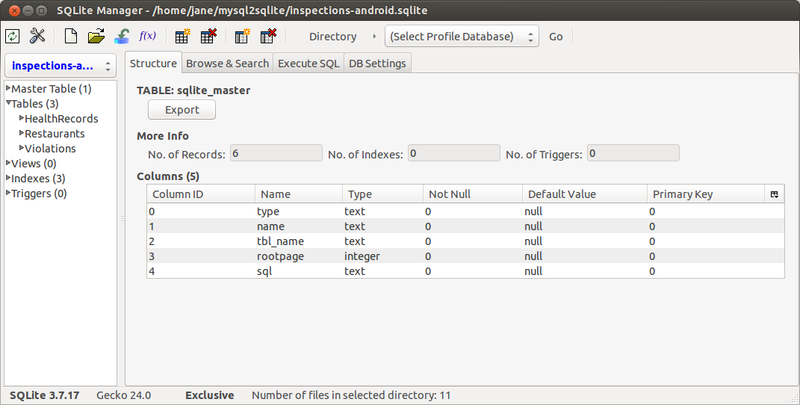 After converting the MySQL database to a SQLiteDatabase file, I had to edit the SQLiteDatabase directly and I did this with the help of a Firefox addon called SQLite Manager.